It is a product which contains only the highest quality animal proteins (isolate and whey protein concentrate enriched with peptides). It is the ideal product for you - do not wait any longer with the purchase! Then it is time to fill your diet plan with the right amount of proteins. As building blocks of the muscle tissue, proteins contribute to the growth and maintenance of muscle mass. 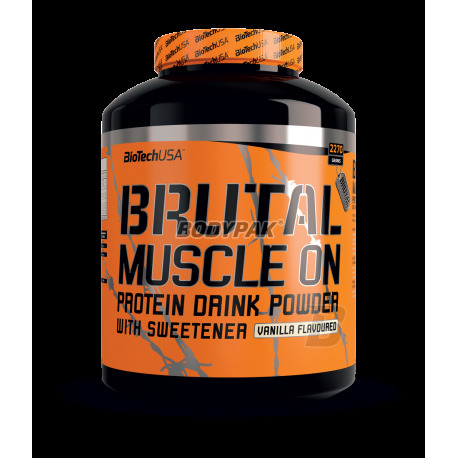 Brutal Muscle On is an easy way to supplement your diet with not only the right amount but also the right quality of proteins. It’s blend was formulated with the finest sources of beef proteins available. Beef is a valuable source of proteins, yet costly and hard to digest when eaten in high amounts. 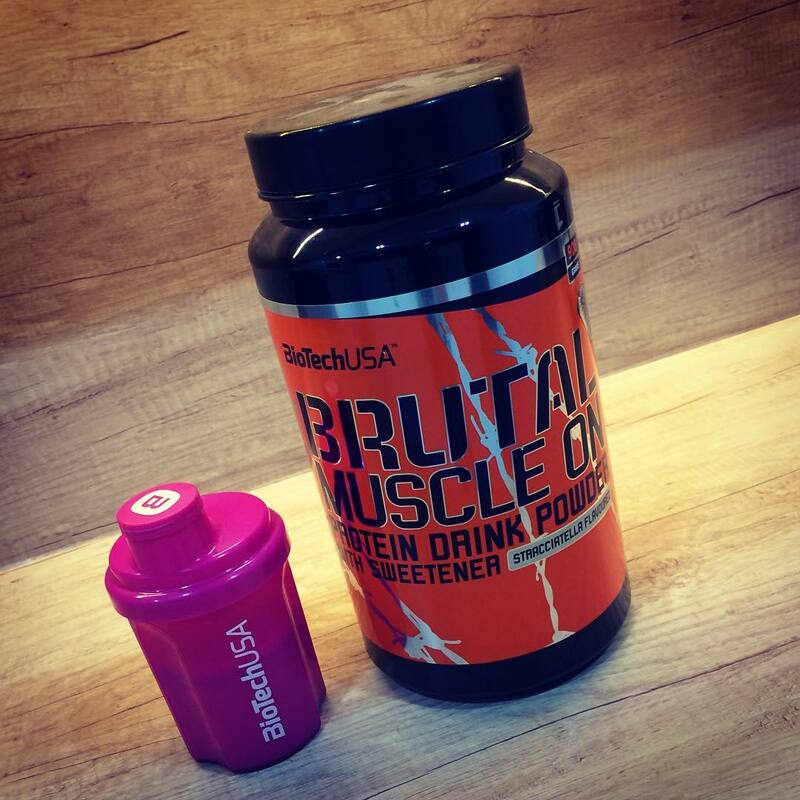 Use Brutal Muscle On for highly concentrated and easily digestible beef proteins and set your mind to purpose! 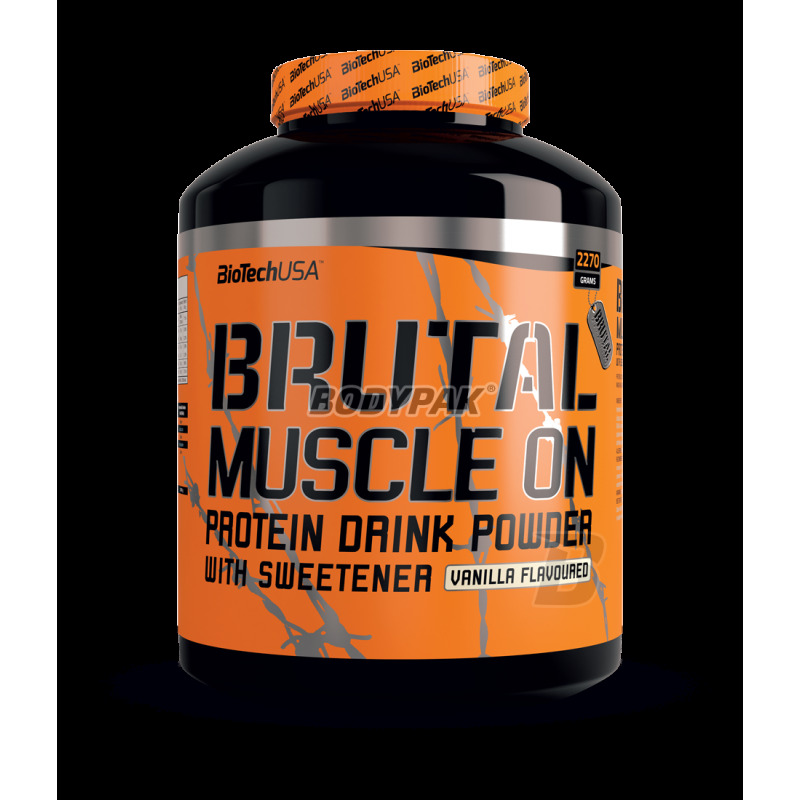 Mix one scoop (30 g) of Brutal Muscle On with 250 ml water or skim milk. Consume 2 servings daily: 1 serving in the morning and 1 serving after training. Ingredients hydrolyzate of bovine milk protein, a mixture of proteins "brutal Protein Matrix" (whey protein concentrate, milk proteins, peptides, proteins, whey protein isolate, calcium caseinate) flavor, thickener: guar gum, salt, inulin sweeteners sucralose, ascorbic acid, bromelain, niacinamide, copper sulfate. Świetne białeczko, zarówno w składzie jak i w smaku!